Spc. 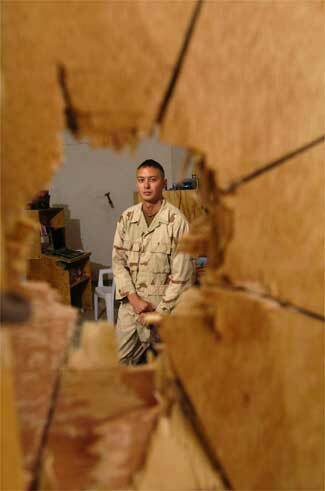 Ramon Garcia, 27, from Miami, with the 1st Battalion, 505th Parachute Infantry Regiment, 82nd Airborne Division, was on his rack listening to music Saturday when a 57mm rocket punched through a plywood wall into his room in Fallujah, Iraq. It failed to detonate when it hit the concrete wall on the other side of the room.